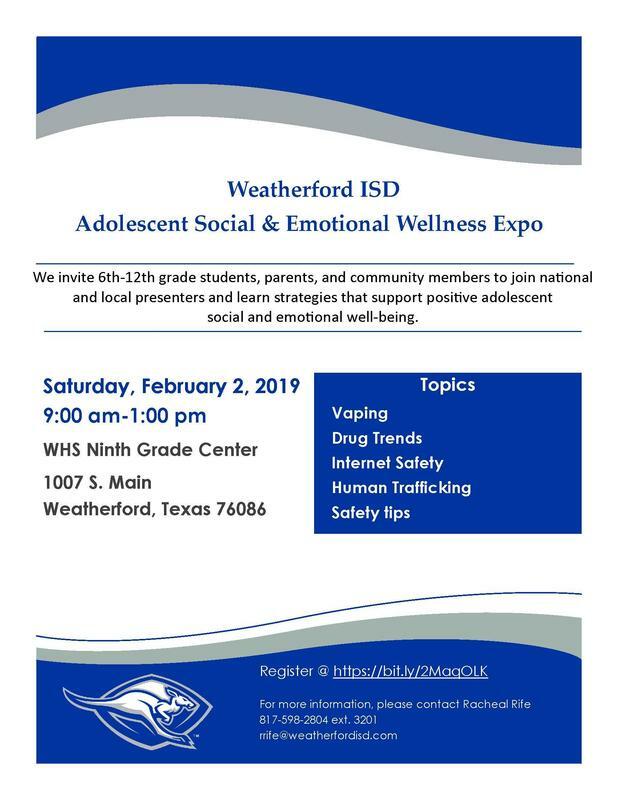 Weatherford ISD invites 6th-12th students, parents, and community members to join national and local presenters and learn strategies that support positive adolescent social and emotional well-being on Saturday, February 2 from 9:00 am to 1:00 pm. at the Ninth Grade Center campus. This event is free to attend, but registrations are encouraged. To register, please visit https://bit.ly/2MaqOLK .